diglloyd blog: Fujifilm GFX Sensor Cover Glass Thickness? 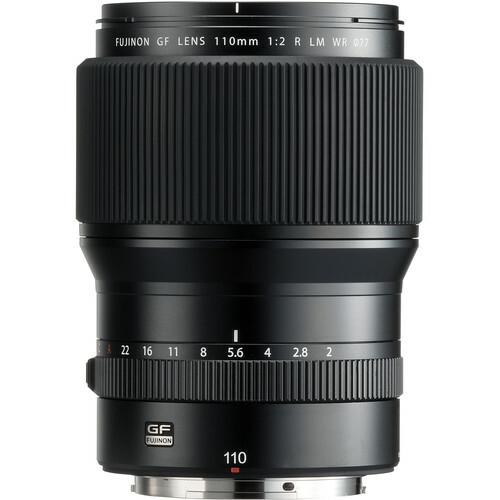 Fujifilm GFX Sensor Cover Glass Thickness? 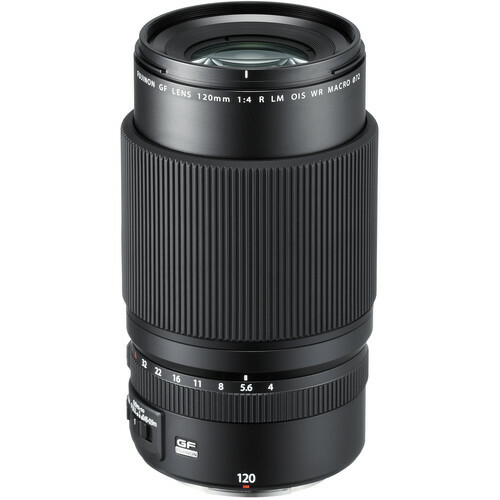 The ray angle problem seen with Leica M rangefinder lenses on Sony mirrorless applies anytime time there is a mismatch between the optical design and the actual camera on which the lens is mounted, namely any additional optical effects outside the lens itself. Lenses designed for a sensor cover glass thickness that differs from that of the designed-for camera are degraded in performance, for reasons the diagram at right shows. Lenses designed for film assumed a cover glass thickness of zero, which is why lenses designed for film are never optimal on digital. 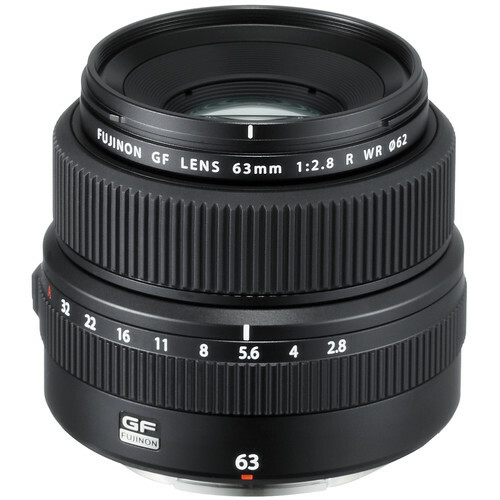 Since most Zeiss DSLR lenses for Nikon are quite degraded on the GFX sensor (even on the central 36 X 24 mm area), this implies that the GFX sensor cover glass is either fairly thick or relatively thin and/or has an index of refraction that differs from Canon and Nikon DSLR lenses. I don’t know the answer, but I’m guessing the glass is relatively thin, simply because a thick glass plate would be relatively heavy*. I don’t have the GFX on hand to inspect directly to see anything. The diagram below implies cover glass thickness of 3.1mm. The Fujifilm “Durability” image further below implies a cover glass thickness of 1.5mm, but contradicts itself with its annotation. 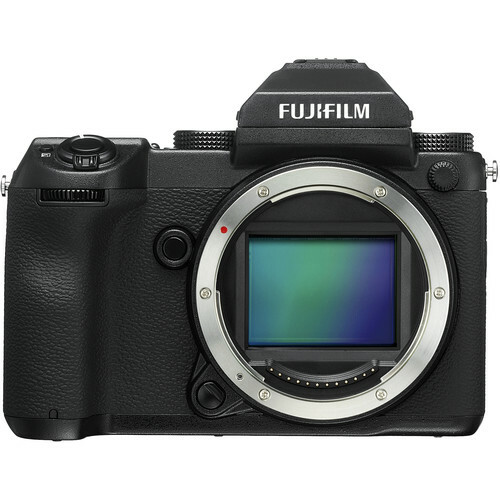 However the Fujifilm schematic (diagram #1) suggests relatively thick cover glass. If the schematic is to scale, then the diagram suggests 3.1mm for the thickness of the sensor cover glass. There could also be more glass over the sensor itself. The micro lenses on the GFX sensor are probably a factor also, particularly in the outer zones. * And because the 9mm air gap between the cover glass and sensor already combats dust; thick glass is not needed for dust-offset reasons. Thick glass might make spectral cutoff easier than too-thin glass however, as per the Leica M8 infrared leakage problem. Fujifilm does not indicate the effective optical thickness (thickness + index of refraction) of the sensor cover glass, but the severely degraded results most adapted lenses with the GFX shows that something does not match up well versus Zeiss DSLR lenses for Nikon (ditto for one medium format lens, the Hartblei/Zeiss 80mm f/2.8, but it is degraded even on Nikon digital). 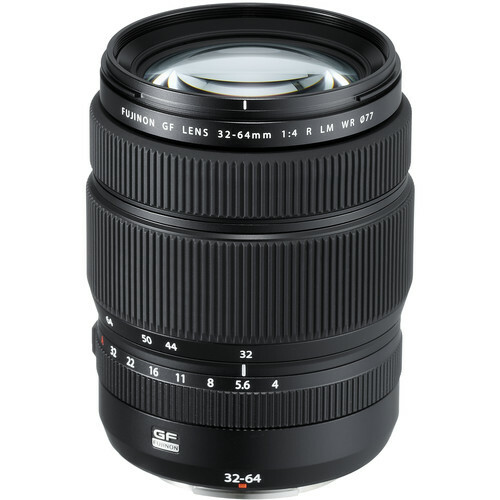 Only the Zeiss 135mm f/2 APO-Sonnar performed well, which makes sense: its long focal length suggests that its exit pupil ought to be quite distant from the focal plane, so its ray angle would be relatively straight-on to the sensor. Excerpt from MTF on Mirrorless Cameras which includes a full MTF aperture series on Leica M vs Sony as well as a through-focus MTF chart. If the volume with black outlines is air with refractive index 1.0, all three rays would have a common intersection, as indicated by the thin dotted lines. If the volume in the black box is glass, the rays are refracted two times at the first and the second surface. Inside the glass the inclination angle is smaller. This means that the rays need a longer travel to meet the optical axis. The whole image plane is shifted backwards. This is no problem since the camera body takes it into account, the sensor is not in the position where the film would have been. For glass with index 1.5 the shift is a third of the glass thickness. The problem is, that higher ray inclination (greater angle of incidence) results in a larger shift; it grows stronger than proportional to the ray inclination. In other words, peripheral rays are shifted much more, and this shift accentuates the sagittal and tangential difference (astigmatism). 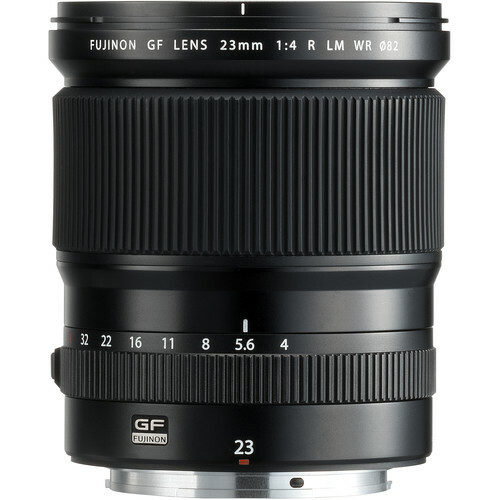 The discussion of the sensor cover glass on the Fujifilm GFX on the Fujifilm-X web site shows a 9mm spacing gap to the sensor, done to reduce dust issues by defocusing the dust, shown below. This does not enter the equation as an issue so long as there is no planarity error*. Unfortunately, Fujifilm does not specify the thickness or index of refraction of the sensor cover glass, or discuss how a DSLR lens for Nikon or Canon or a medium format or large format lens might interact with the sensor cover glass—my tests show strongly degraded results for 85mm and shorter focal lengths. The diagram below implies cover glass thickness of 1.5mm based on the Fujifilm statement of 9mm spacing gap to the sensor, measuring front the front of the cover glass (blue) to the front of the sensor (red). However, the “9mm” annotation does not line up with the from of the blue cover glass, which makes this diagram suspect. Table of ray angles for Zeiss ZM lenses. Astigmatism and Lateral Color in Making Sharp Images. LensRentals' Sensor Stack Thickness: When Does It Matter?.